In the state of Goa, in cities such as Panjim, Mapusa, Miramar and Margao, you can find many street food carts serving delicious snacks from the early morning up until late in the evening. From local delights to traditional Indian snacks and even Lebanese and Italian food, you will find it all at carts and small eateries in Goa. While it’s good to try all the varieties of street food in Goa, there are some that you just cannot miss out on. If you are keen to explore the street food, we suggest that you begin with these 13 best street foods in Goa. In Goa, non-vegetarian delicacies are popular. If you are a meat eater, you have to try the non-vegetarian snacks served at the small local cafes. In places like Vasco, Mapusa, Panjim and Margao, you’ll find a variety of chicken, mutton and beef snacks that are delicious to pick up and eat while you walk around. 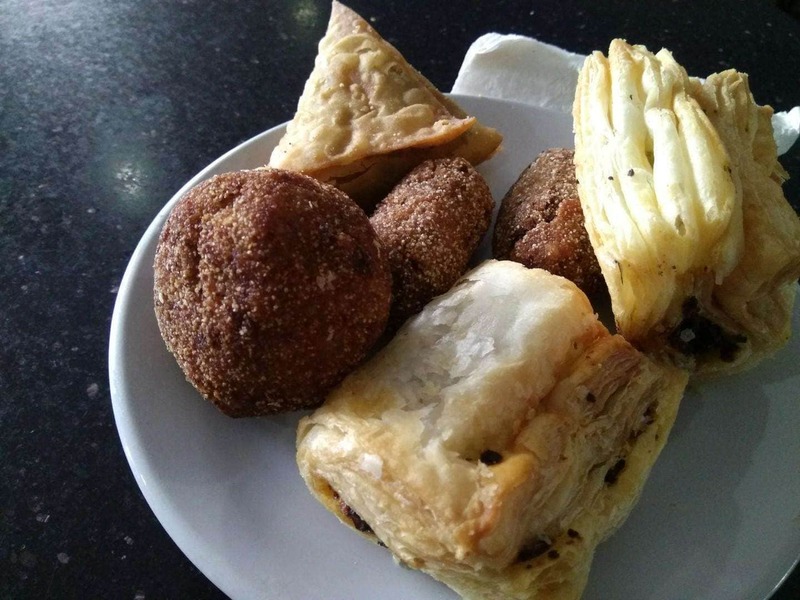 The most popular non-vegetarian snacks in Goa are croquettes, potato chops and samosas. Choris (Goan Sausages) is a famous delicacy in Goa. Locals enjoy it as a breakfast item or even as a tea-time snack. Eaten with bread, this spicy pork meat preparation is made using a pre-cooked sausage, onions and sometimes potatoes. 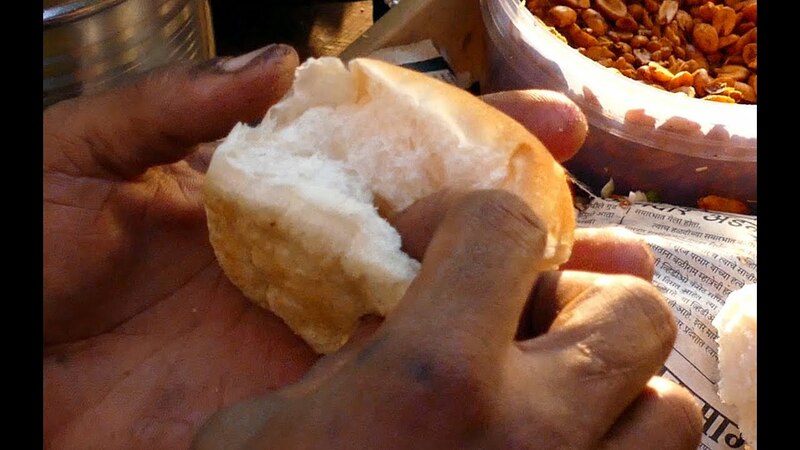 In Goa, especially on the main highway, you will find plenty of men and women on cycles serving choris pav as early as 7 am in the morning. Goa’s famous Gadbad Ice Cream is served in a tall glass or bowl. It is a combination of different ice creams served in one serving, topped with noodles and jelly. The perfect summer special, you will enjoy the Gadbad Ice Cream on a hot summer day, after shopping at the markets in Panjim or Mapusa. Spicy, delicious and nutritious, missal pav is a top choice when it comes to street food in Goa. Although it is made differently here than in Maharashtra, you won’t be disappointed with the taste. Missal is popularly eaten as a tea-time snack or for breakfast . In the mornings and evenings, you will often find bread sellers on cycles with big baskets selling the local Goan bread called Poi. Made from rice husk, this type of bread is slightly sweet and fluffy. It can be eaten with curry at meals or just with butter as a snack. You will recognize a breadman in Goa by his cycle’s horn and big basket that is covered with a blue sheet. If you thought Goa’s street food scene was only about local delicacies, think again. Chinese is popular too. In Mapusa, Panjim and near the beaches, you will find street food carts serving hot and fresh Indian and Chinese snacks. Chinese is popular with a large chunk of tourists and even the locals enjoy it. Famous Chinese dishes in Goa are Chicken Chilli, Schezwan Fried Rice, Hakka Noodles and Manchow Soup. Shawarma is one of the few foreign delicacies to make its way onto Goa’s street food scene. A far away cousin of the Khati roll, a shawarma is not as spicy. Served with hummus or tartar sauce, this roll is wrapped in pita bread and is served with pickles. A unique quality of bondas is that it can be made in different ways – spicy, bland or sweet. 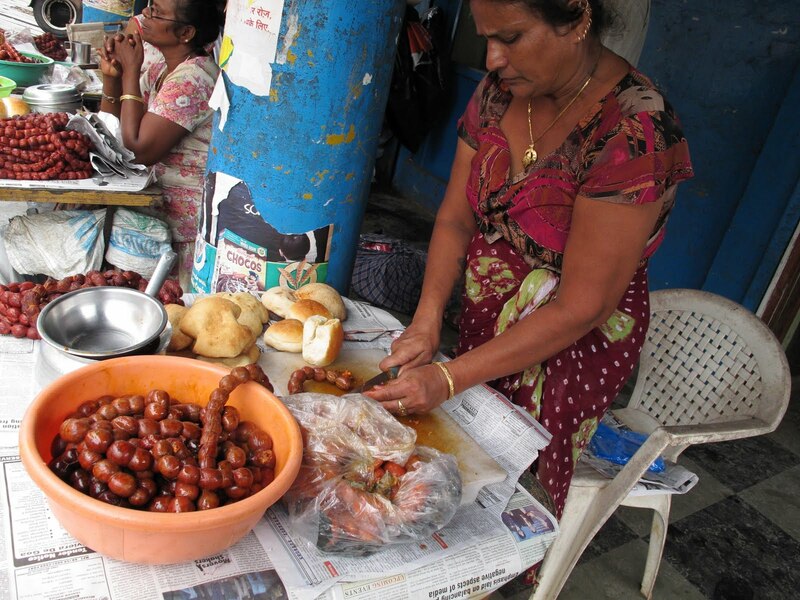 Traditionally from Mysore’s cuisine, bondas have made their way to Goa’s street food scene. Best eaten with chutney, bondas are enjoyed as a snack or for breakfast. Whether it is at a bar, a beach shack or small corner restaurant, fish thali is a dish that every tourist has to try in Goa. The thali comes with a portion of rice, chapatis, fish curry, a vegetable dish, fried fish and pickle. Some places also offer sol curry with the meal. A complete meal, a fish thali is delicious and satisfying if you love seafood. Apart from its seafood delicacies and choris pao, Goa is well known for its sweets. A few popular Goan sweets are Bebinca, Dos, Perad and Baath Cake. 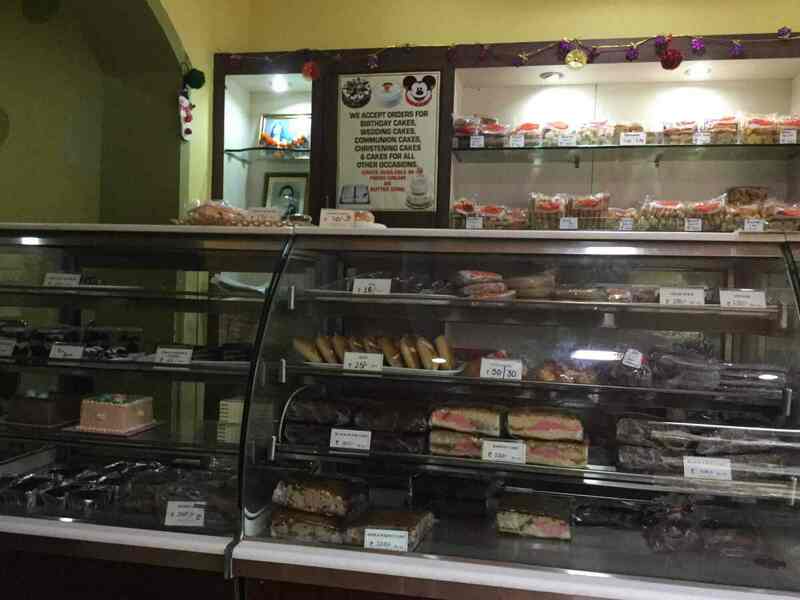 In Goa, you will get the best sweets at Simonia stores. Although the one on Mapusa is the most popular, there are outlets across the state of Goa. In and around the market areas of Panjim, Mapusa and Margao, you will find big red carts with the name Frankie written on it. At these carts, you get a variety of rolls like the Chicken Frankie, or innovative rolls like the BBQ Chicken Frankie and the Veg Chilly Frankie. These rolls are spicy and delicious and come at a very reasonable price of about Rs. 50 per a roll. With a large tourist population coming from Mumbai, Goa is home to a few chaat stalls, mainly near the beach and market areas. 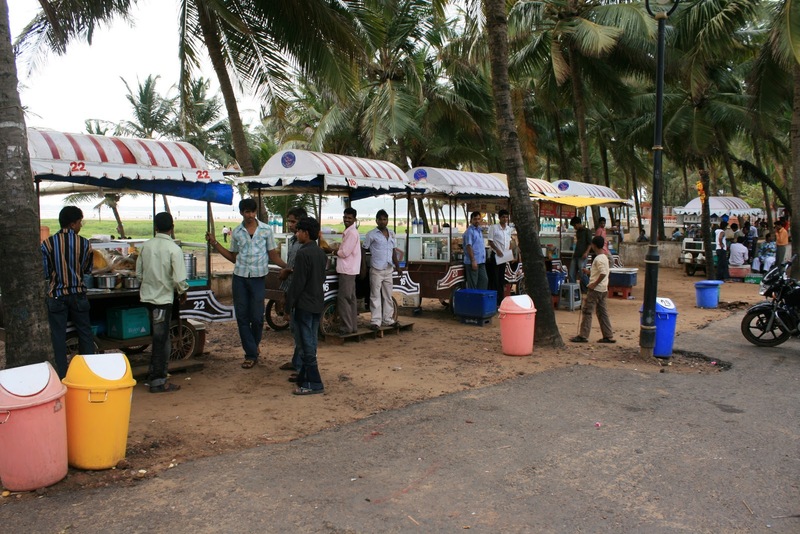 One of the most popular chaat places in Goa is the Miramar Beach food street. At this buzzing street corner, you can find carts serving pav bhaji, sev puri, paani puri and a whole variety of chaats. Omelette Pav is very popular in Goa. What’s even more popular, though, is Ras Omelette, which is a regular omelette served with some chicken curry. You can have this at Ravi Ras Omelette in Panjim, at a very reasonable price. A delicious dish, you’re bound to head back for more. If you plan to explore the street food scene in Goa, we suggest that you try the food items mentioned above. They’re delicious, easy on the pocket and will leave you craving for more.